The evidence is irrefutable: Barcode technology has become increasingly feature-rich in recent years. However, most VARs have at least some customers who continue to cling to their older barcode technology, including barcode scanners. So how do you convince these customers that it’s time for a barcode technology refresh? Here are three effective strategies for selling clients on the idea of migrating away from their legacy barcode scanners and related hardware. Advertise and emphasize new products with improved features and performance. When it comes to even considering a barcode technology refresh, one of the first things customers want to know is how potential replacement products differ from the products they are already using and what makes them worth the investment. For this reason, it is imperative that VARs highlight the enhanced features, capabilities, and performance touted by new barcode scanners and other hardware—when discussing potential upgrades with clients as well as in advertising collateral. On both fronts, avoid merely citing “bells and whistles”; rather, explain how improved features and performance will benefit clients. For example, if a new “ruggedized” barcode scanner is more compact than ever before, promote and advertise it not just with this verbiage, but by noting that the product “brings industrial-class barcode scanning into a pocket-sized form factor,” eliminating the need to sacrifice small size for durability. Similarly, if playing up a wireless barcode scanner, point out that the unit “works the same as corded models, but is much more flexible and convenient,” allowing users to move around workstations or entire premises without the need to seek out a power source or worry about tangled wires. Offer trade-in programs and/or discounts to incentivize customers to upgrade their barcode technology. While the allure of new products with improved features and performance should be enough to persuade some customers to refresh their barcode technology, others will require additional incentives to move forward. For certain clients, the opportunity to trade in their barcode scanners, barcode printers, and related hardware for better models may do the trick. Barcode technology manufacturers recognize this and offer trade-in programs through their VAR partners. Not surprisingly given how much everyone loves a “deal,” some customers can also be incentivized to upgrade their barcode technology with discounts on bulk hardware purchases or similar price breaks. Again, barcode technology vendors make incentives available for VARs to use in selling clients on upgrades. 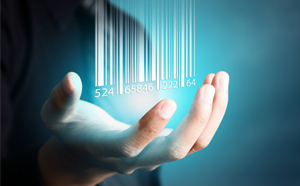 Offer free assessments of customers’ current barcode technology. Everyone loves “freebies,” so it’s unlikely that customers will turn down an opportunity for a VAR to assess their existing barcode technology configuration and hardware. Start by determining whether the client in question has in place any barcode scanners or other related equipment that is reaching “end-of-life” stage and will no longer be produced and supported by its manufacturer. Emphasize that if this appears to be the case, it does not make good logical or financial sense to hold on to the soon-to-be-obsolete hardware and face major headaches when it ceases to function. Ask the customer what capabilities he or she would like to see in new barcode technology—for example, the ability to scan more barcodes in less time or to read newer symbologies. Inquire about other barcode technology needs. Then, use this information to suggest the ideal replacement for whatever barcode technology is currently in place. Assessments of clients’ existing barcode technology are also the perfect entrée to cross-selling and upselling complementary devices. For instance, if a client is upgrading to a new, better barcode scanner model, suggest that that barcode scanner would be better leveraged with an equally feature-packed barcode printer. Barcode technology continues to be a viable source of profits for channel players. Adopting a strategic approach to convincing customers that a barcode technology refresh is in order will only serve to maximize such profitability in the short- and long terms alike.